Sydney based dynamic a cappella choir singing a mixture of rootsy gospel and gospel-tinged originals. The Cafe was formed in 1986 by Tony Backhouse. The Sydney Gay & Lesbian Choir is one of Australia's largest non-auditioned community choirs who take delight in the diversity of both their membership and the music they perform. Based in Melbourne, The Brunswick Women's Choir is renowned across the country for performances of passion, poignancy and inspiration. The 40 women of the choir share a love of music and performance. Through their activities, repertoire and performance they have developed a reputation for outstanding singing creating a concert experience that entertains, inspires and heals, fostering a meaningful connection with the audience. In October 2016, Together with Cafe of the Gate of Salvation, The Bees were delighted to take part in the 'Room at the Inn' fund raising concert with BWC to raise funds for Sydney Alliance. Members of The Sydney Street Choir are homeless or disadvantaged men and women. 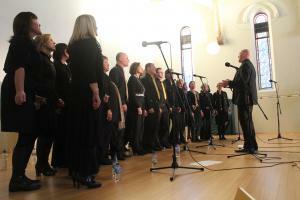 Led by James Paul and with no regular ongoing funds source, the choir now relies on money raised from performances, donations and in kind support from community organisations. Australian National Choral Association is a non-profit organisation set up to encourage and promote choral music in Australia. ANCA National offers professional workshops for Choir trainers, Choristers, Conductors and various areas of Choir training. ANCA's National Youth Choir of Australia provides a flagship for the talent of our young singers. ANCA organises the visits of many international conductors and networks internationally for the benefit of members. A Cappella Central is a resource for all things a cappella in Australia - information about choirs and groups, how to get in touch with, when and where they will be performing. 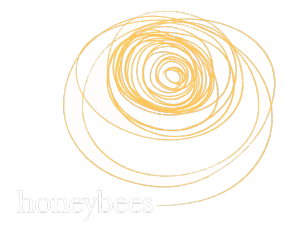 This is one of The Bees' favourite charities and one that we have raised a significant amount of funds for over the years. We take great joy from performing at services and events held by them. This US based site is devoted to traditional African American spirituals and some information is given about the early Gospel songs. In demand for his inspiring teaching style, Tony has run more than 2000 vocal workshops throughout the world for the public, for festivals, schools, universities, churches, organisations and corporate training events. He currently lives in Napier, New Zealand. Armed with cool melodies, eclectic lyrics and an infectious smile, American-Australian Madison McKoy 's singing easily crosses the RnB, Pop, and Soul genre, Madison’s music reflects immediate familiarity reminiscent of Lionel Richie, Luther Vandross, and a touch of Seal in an adult contemporary style.